Virtually everyone experiences lower back pain at least once in his or her life. Your back is an intricate structure composed of bones, muscles, ligaments, tendons and discs. Discs are the cartilage-like pads that act as cushions between the segments of your spine. Back pain can arise from problems with any of these component parts. In some people, no specific cause for their back pain can be found. Back pain is one of the most common reasons that people see a chiropractor. At Windmill Health Center, we focus on cutting-edge non-invasive treatments to alleviate your back pain. Many people choose surgery as an option. This should be your LAST option. Read about our lumbar disc decompression performed by our Weston chiropractors and its success in relieving back pain! At Windmill Health Center, we as Weston chiropractors emphasize the importance of maintaining the structural integrity of the body without the use of drugs or surgery for lower back pain relief. We will examine all aspects of your lifestyle and create a chiropractic treatment plan that integrates good health habits along with manual back adjustments. Our goal? To realign your back, relieve muscle spasms, restore motion, and reduce pain. Lumbar disc decompression – a pain relieving, alternative treatment for patients who experience chronic back and leg pain or chronic neck and arm pain. Depending on the cause of your pain, you may be a good candidate for spinal decompression which involves a series of rhythmic, intermittent and alternating stretching and relaxation cycles. With the aid of an on-board computer, spinal decompression works through a series of 15 one minute alternating decompression and relaxation cycles with a total treatment time of 30 minutes. During the decompression phase, the pressure in the disc is reduced and a vacuum type of effect is produced on the nucleus pulposis. At the same time, nutrition is diffused into the disc allowing the annulus fibrosis to heal. Chiropractic adjustments – involves moving a joint beyond its usual range of motion but not beyond the range of motion the joint is designed to move, anatomically speaking. Manipulation involves encouraging the “stiff” area of the spine to begin moving again, and comprises soft tissue massage and gentle mobilisation movements. Massage Therapy – helps to loosen muscles and promote relaxation. Therapeutic Exercises – strengthening the muscles of the spine through a carefully designed exercise program. Our Weston chiropractic clinic is equipped with modern equipment and state-of-the-art spinal rehab technology to help you reach optimum health. Our chiropractic clinic works with most health insurances and auto accident claims. Our goal is to provide you with safe, fast and effective chiropractic care in the Weston area. I read this article and found it very interesting, thought it might be something for you. 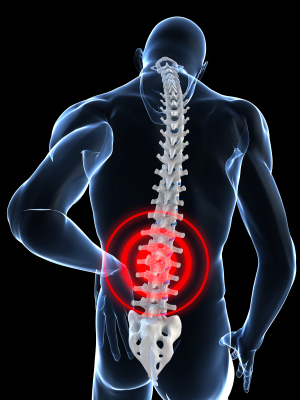 The article is called Back Pain and is located at http://www.windmillhealthcenter.com/conditions-treated/low-back-pain/.